Χάρη στην ποιοτική διαμονή και την άριστη εξυπηρέτηση του Souji-in, στην επίσκεψή σας σε Γουακαγιάμα θα νιώσετε σαν στο σπίτι σας. Από εδώ, οι επισκέπτες μπορούν να έχουν άμεση πρόσβαση σε όλα όσα η πόλη έχει να προσφέρει. Με την βολική του τοποθεσία, το ξενοδοχείο προσφέρει εύκολη πρόσβαση στους προορισμούς της πόλης που πρέπει οπωσδήποτε να δείτε. Στο Souji-in, η άψογη εξυπηρέτηση και οι ανώτερες εγκαταστάσεις συντελούν ώστε η διαμονή εκεί να σας μείνει αξέχαστη. Για την άνεση και την διευκόλυνση των πελατών, το ξενοδοχείο προσφέρει δωρεάν WiFi σε όλα τα δωμάτια, ημερήσιος καθαρισμός, ταχυδρομική υπηρεσία, προσβάσιμο με αναπηρικό καροτσάκι, εγκαταστάσεις για άτομα με αναπηρία. Απολαύστε ανέσεις υψηλών προδιαγραφών κατά τη διαμονή σας. Ορισμένα δωμάτια περιλαμβάνουν επίπεδη τηλεόραση, λευκά είδη, καθρέφτης, παντόφλες, πετσέτες - ό,τι πρέπει για να αναζωογονηθείτε μετά από μια γεμάτη μέρα. Κατά τη διάρκεια της μέρας μπορείτε να απολαύσετε την χαλαρωτική ατμόσφαιρα των υδρομασάζ. Απολαύστε τις ασύγκριτες υπηρεσίες και μια πραγματικά περίβλεπτη διεύθυνση στο Souji-in. I really loved this place, high in the mountains - very peaceful. Our stay here was nothing short of AMAZING! We felt like we were in a 5 star hotel - spacious and luxurious room, beautiful view of the pond from our room, dinner and breakfast was an art of its highest form (beer was part of the menu), onsen was clean and extremely zen, monks were very polite and helpful.... highly recommended!! Beautiful property and great way to experience Koyasan. We were greeted by Mr. Naka, who guided us to various facilities and to our room. There was also a welcome matcha tea and dessert served during that time. Loved the smell of hinoki in our room, must have been the material used in the building itself. The shojin ryori (buddhist cuisine) was delicious and a feast to the eyes! Souji-in is within 3 minutes walk from Kongobuji-mae bus station. We went for a bath relatively early around 4-5pm, so we got to enjoy the onsen all alone (my husband in men public bath, me in the lady one). There was instruction slip given on onsen etiquette. There was a basin and a private toilet in our room. Really enjoyed the stay. Nice expérience in the monastery Including the ceremony at 6:00 am! Breakfast at 7:20 and dinner at 5:30 pm. Door are closing at 9:00. Nice vegeterian meal . The suite with private bathroom is really big. Lovely people who make you feel at home. Nice area, walking distance from all temples and evening walk to Kobadashi. Thank you for your stay. We are happy to know that you had a good time here in Koyasan. 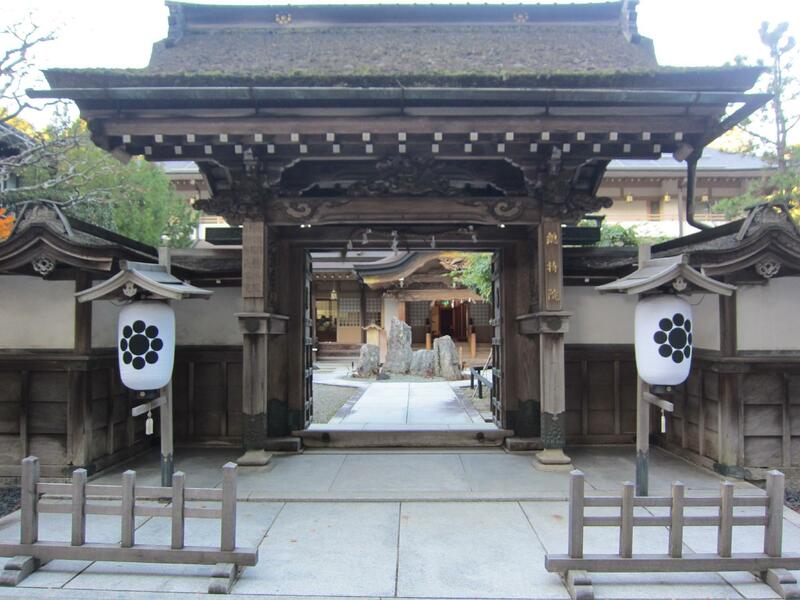 We hope that your experience in Koyasan would be a memory of your trip of Japan. Thank you for your comments. We are very glad to know that you had a good time in Soujiin. We are also happy because you were satisfied with our vegetarian cuisine. I highly recommend to spend at leat 1 night even 2 if you have sufficient time. This is a real experience and the monk are very welcomed. The vegetarian meals , breakfast & diner , were delicious. Thank you for your stay. Our staff would be very happy to know that you were satisfied with our vegetarian cuisine. Your experience in Koyasan will be a memory of your trip to Japan. Thank you for your stay. We are glad to know that you had a good time in Koyasan. We hope that you were satisfied with our facility and service. Incredible experience all round. Service was very friendly, food is the highlight. Silent and spacious rooms. Morning meditation and ritual very nice also. Location is close to main temples and walkable distance from most places. Overall a great stay. Only complain, its a bit pricey but worth your money. Thank you for your comments. We glad to know that you had a good time in Koyasan. We will try to improve our service level in the future. Immaculate, beautiful and exquisite! To think that a traveler can stay in accommodation that meets all of the high expectations of a quality hotel, surrounded by the ancient traditions of a monastery. I loved this experience. The monks are incredible hosts, gracious and kind. Thank you for your comments. We are glad to know that you had a good time in Koyasan which is a monastic center in Japan. we love this place and very enjoyed our time here, the place (temple) is very peaceful and relaxing, beautiful and calm garden, it is located in a very good location 5 minutes walk to the center city, very convenience . Our room is big and very nice setup with private bath tub. Tasty foods, staffs (monks) are very well educated with best service mind. Strongly recommended. For anyone who ever dreamt of being pampered in a monastery, Souji-in is the place. Food superb, room super-large and overlooking one of the gardens, with its own full bathroom. Though not experts in monastic accommodation, it would have to be safe to say that it can't get much better than this. Thank you for your comments. We are sorry for the delay of our reply. We hope that Koyasan will keep on providing monarstic accommodation to the guests from abroad. This has been an exceptional stay. Conveniently located and exceptional service and experience. Thank you for your stay in Soujiin. We are sorry for the delay of reply. We will try to provide good memory of the trip for the guests from abroad. We stayed only one night but it was lovely. The room was basic (tatami mats and a table, and futon beds they set up and pack away for you) but lovely. The dinner was magnificent - all vegetarian but very beautiful and beautifully presented. If you stay, make sure you eat there. They had shared shower facilities in traditional Japanese onsen style so be prepared for that experience and read up on the etiquette! Word of warning - make sure you get the package with the meals included - we had some issues where we booked the 'Japanese Room with Dinner and Breakfast' but it didn't actually have dinner and breakfast included (this was in the fine print). They honoured our booking with food anyway though after some discussion. Not sure if this was an issue with the way it was listed on Agoda. We were also invited to observe a traditional Buddhist ceremony at 6am the next morning. It was a great privilege to be able to do this which we were grateful for. Thank you for your stay in Soujiin. We are sorry for the delay of the reply. We are glad to know that you were satisfied with our accommodation service. Wir haben uns vom ersten Augenblick an so herzlich empfangen und wohl gefühlt. Besonders das Abendessen war ein unvergessliches Erlebnis. Wir haben schon einigen Freunden von dieser Unterkunft berichtet und weiterempfohlenen und würde auch selbst gerne wiederkommen! Unterkunft Danke. Ich denke, dass Sie am Morgengebet teilgenommen haben und die Situation als eine religiöse Stadt von Koyasan gesehen haben.